Pi Lambda Phi International Fraternity was established as the first non-sectarian at Yale University in 1895. It is a popular college social fraternity that has 32 active chapters and 9 colonies, which are located on the territory of the United States and Canada. The college social fraternity was found by three men -Frederick Manfred Werner, Henry Mark Fisher and Louis Samter Levy. They decided to create the social fraternity for men of different races and religions. The fraternity actively developed and became popular quickly. 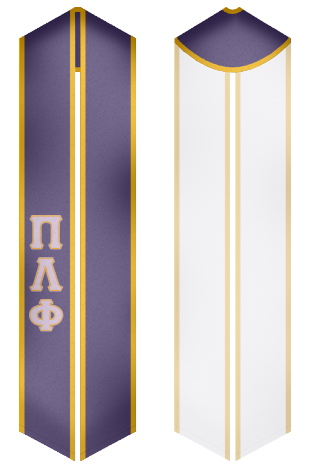 In 1991, the fraternity changed its current form. 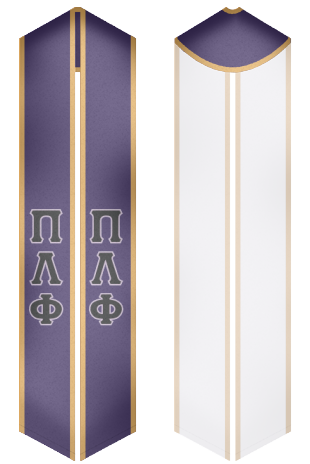 A lot of different sashes for Pi Lambda Phi International Fraternity are available for sale at our website!